Edwards Platt Meyer, PA is a full-service accounting firm serving clients throughout the area, dedicated to providing our clients with professional, personalized services and guidance in a wide range of financial and business needs. On this website, you will find information about Edwards Platt Meyer, PA, including our list of services. We have also provided you with online resources to assist in the tax process and financial decision-making. These tools include downloadable tax forms and publications, financial calculators, news and links to other useful sites. Whether you are an individual or business in or around Plant City, Edwards Platt Meyer, PA has years of valuable experience assisting professionals with their accounting needs. 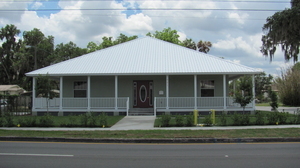 Edwards Platt Meyer, PA is one of the leading firms in and throughout Plant City, FL. By combining our expertise, experience and the team mentality of our staff, we assure that every client receives the close analysis and attention they deserve. Our dedication to high standards, hiring of seasoned tax professionals, and work ethic is the reason our client base returns year after year. © 2019 Edwards Platt Meyer, PA All Rights Reserved.